Ownership and Use of Content. All of the information and content on this website, including but not limited to all text, graphics (except for certain names and logos owned by HomeServices of America, Inc. ("HomeServices") which are licensed to us for our use), software applications, video and audio files, and photos ("Content") is our property, or the property of our suppliers, and is protected by copyright under both United States and foreign laws, unless otherwise indicated. You may make and use printouts of the Content for your personal, non-commercial use only, provided the printouts retain all copyright, trademark and proprietary notices. The use of the Content on any other website or in a networked computer environment for any purpose, or any other republication or redistribution of the Content, including, without limitation, modifying, copying, transmitting, displaying , performing, reproducing, publishing, licensing, creating derivative works from, framing the Content within another website, use on any other Web site, transferring or selling any information, software, lists of users, databases or other lists, products or services provided through or obtained from this website, including without limitation, engaging in the practices of "screen scraping," "database scraping," or any other activity with the purpose of obtaining lists of users or other information; obtaining or attempt to obtain any materials or information through any means not made readily accessible by this website, is expressly prohibited without our prior written permission. Impairment of Website. Damaging, disabling, overburdening, or impairing this website or interfering with any other party's use and enjoyment of this website or attempting to do so is expressly prohibited. NO WARRANTY. WE WILL MAKE EVERY REASONABLE EFFORT TO INCLUDE ACCURATE AND UP TO DATE CONTENT ON THIS WEBSITE. HOWEVER, ALL CONTENT ON THIS WEBSITE, OR ON ANY OTHER WEBSITE TO WHICH WE LINK, IS FURNISHED ON AN "AS IS" BASIS. WE MAKE NO WARRANTIES OF ANY KIND, EXPRESS OR IMPLIED, REGARDING THE CONTENT OR THE FUNCTIONS OF THIS WEBSITE. TO THE EXTENT THAT THE LAW DOES NOT PERMIT THE DISCLAIMER OF WARRANTIES, ALL CONTENT ACCESSIBLE ON THIS WEBSITE, OR ANY OTHER WEBSITE TO WHICH WE LINK, IS WARRANTED ONLY TO THE MINIMUM AMOUNT LEGALLY REQUIRED. NO LIABILITY. IN USING THIS WEBSITE, YOU SPECIFICALLY AGREE THAT YOU WILL NOT HOLD US OR BERKSHIRE HATHAWAY HOMESERVICES LIABLE TO YOU OR ANY PARTY FOR ANY DIRECT, INDIRECT, SPECIAL, OR OTHER CONSEQUENTIAL DAMAGES OF ANY KIND ARISING OUT OF ANY USE BY YOU OF THIS WEBSITE (OR ANY OTHER LINKED WEBSITE), WHETHER THOSE DAMAGES ARE FINANCIAL IN NATURE OR RESULT FROM LOST, INCOMPLETE OR INTERRUPTED DATA OR TRANSACTIONS. 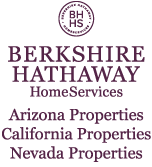 THIS LIMITATION ON OUR AND BERKSHIRE HATHAWAY HOMESERVICES' LIABILITY MAY BE DIFFERENT IN CONNECTION WITH PARTICULAR PRODUCTS OR SERVICES THAT WE OFFER.